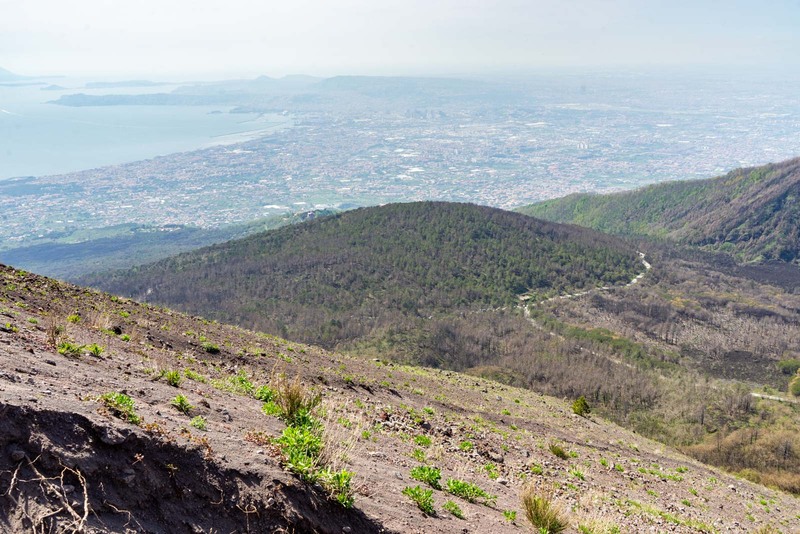 If you’re planning to climb Mount Vesuvius, there are a few ways to do it from Naples (or Rome or the Amalfi Coast). I’ve got all the details below. Mount Vesuvius is probably the most famous volcano in the world. School children across the world have read about it in their history textbooks for generations – the volcano that destroyed Pompeii! Usually Vesuvius is discussed in the context of the eruption in 79 AD – a story of history and a natural disaster of the Ancient World. Rarely do we mention that Mount Vesuvius is still active and one of the most dangerous volcanoes in the world. Since Pompeii was destroyed by Vesuvius, there have been dozens more eruptions. We don’t know the exact number because the historical records of ancient time are incomplete, but the best estimate is about 40 times in the past 2000 years. In fact, Mount Vesuvius is the only volcano to have erupted in Europe in the past century. In its most dramatic volcanic event of the 20th century, lava flowed over the rim and huge clouds billowed into the air – all of it clearly visible from Naples. It makes you stop for a moment and wonder whether hiking Mount Vesuvius really is a good idea? 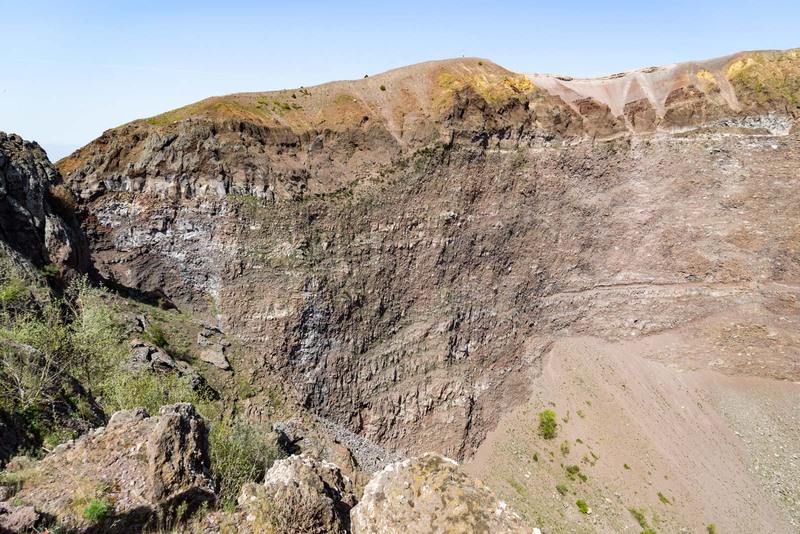 Is it safe to hike Mount Vesuvius? 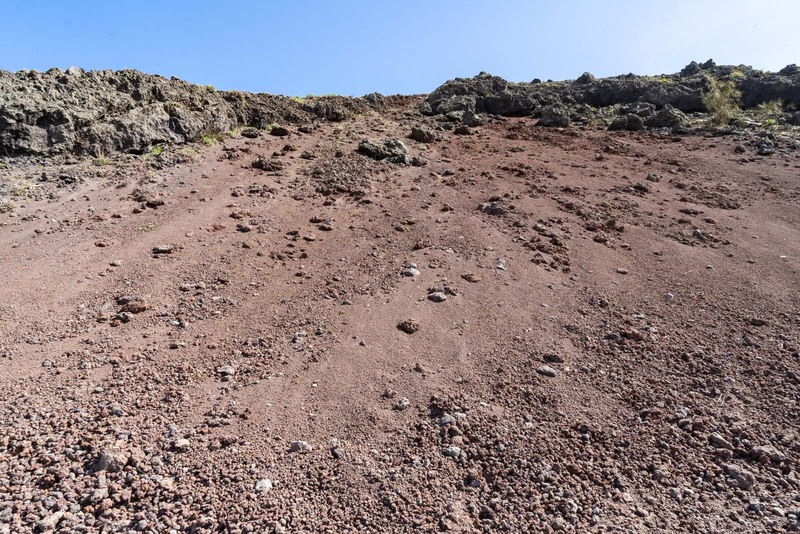 At a very simple level, yes, it is safe to hike Mount Vesuvius. Although it’s an active volcano, that doesn’t mean it could suddenly start spewing out lava while you’re halfway up. 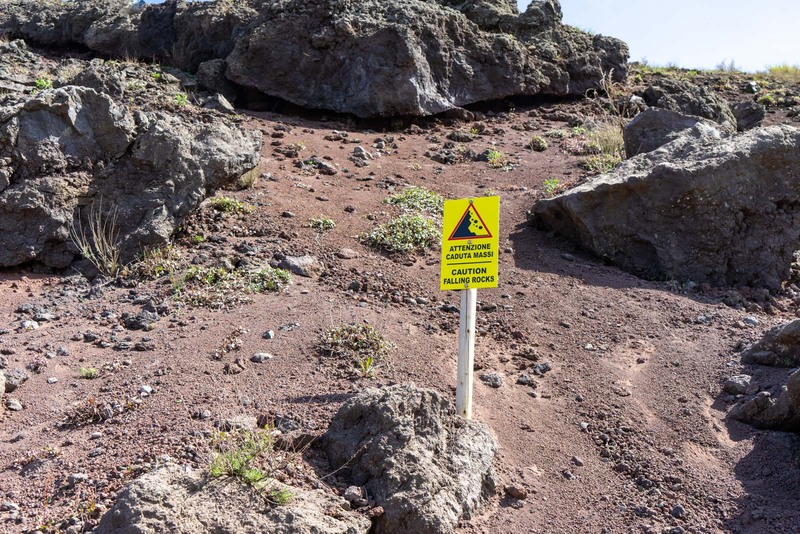 Before a volcano like this has any activity, there are warning signs. Technology these days means you’re going to be able to predict an eruption at least two weeks in advance. But there’s still a slight thrill in the consciousness of the danger this mountain poses. 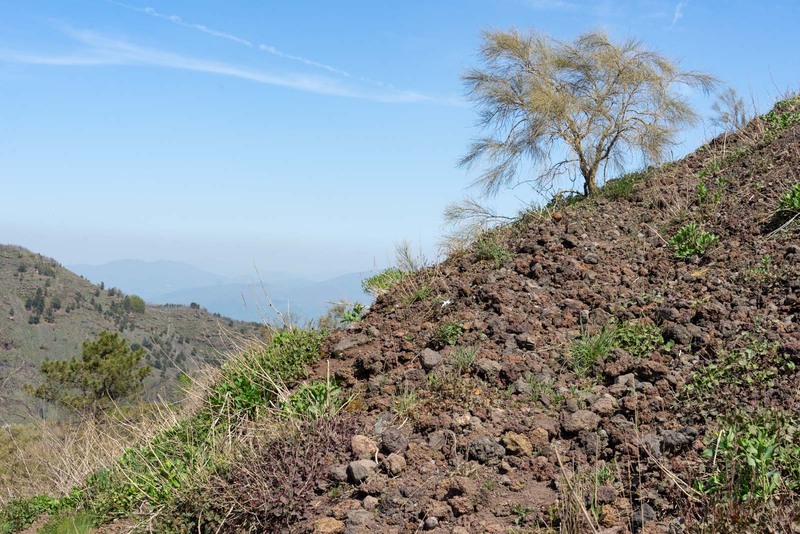 It makes climbing Vesuvius a bit more exhilarating than an ordinary hike up to a peak. I think about that as I walk up the trail to the crater. The views out from here stretch right across the Bay of Naples and over the city itself. It makes me feel slightly insignificant in the vastness of it all, until I’m jolted back to the present moment when I see a sign warning of rock slides. I focus on where I am and where I’m walking. 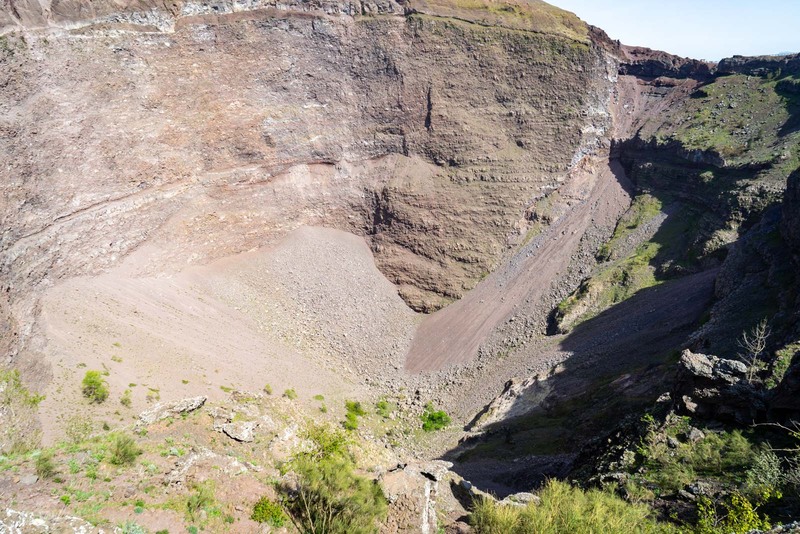 Eventually I get to the summit of Vesuvius and I can look down into the crater. All seems quiet and calm now – no lava, no gas. But the cracks along the inside are reminders of the force that has spewed out of here in the past. After walking further along the top of the mountain, with the crater of the volcano down to one side, I can look over to the ruins of Pompeii. Thousands of people died down there when this volcano erupted – but today, I have conquered it. I stand proudly on top of Vesuvius and I don’t let it scare me. Nature may be much more powerful than I am, but I can still be above it all. The sense of pride at the top of Vesuvius is coupled with a sense of achievement. Getting to the top is not easy – physically or logistically – but I like to think that adds to the reward. 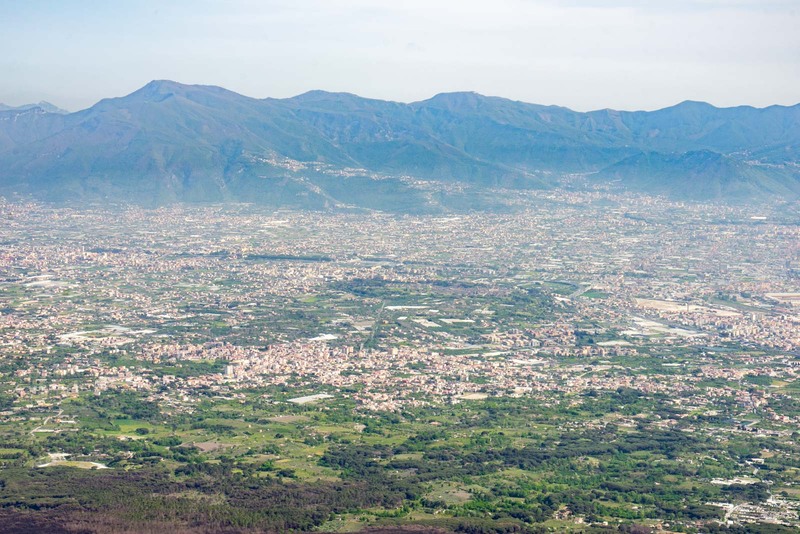 If you are interested in hiking Mount Vesuvius, then there’s some information you’ll need to know. Regardless of which form of transport you use to arrive (and I’ll discuss that shortly), you’re going to have to climb up the last bit yourself. The trail is wide and relatively safe – but it is longer and steeper than you might expect. Winding up the side of the volcano in switchbacks initially, the path then follows uphill around the edge until you reach the edge of the crater. It took me almost 30 minutes to walk the whole way – you will need a moderate degree of fitness and it may take you longer if you’re not used to hiking uphill. 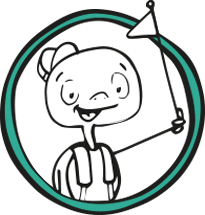 The easiest way to get to the starting point for the hike is with a tour or transfer. If you’re coming from Naples, I think this is the best one. You can drive yourself up Vesuvius but you will have to leave your car at the lower parking lot (only buses and other tours can use the higher parking lot) and that will add another 30 minutes of walking along the road to your trip. 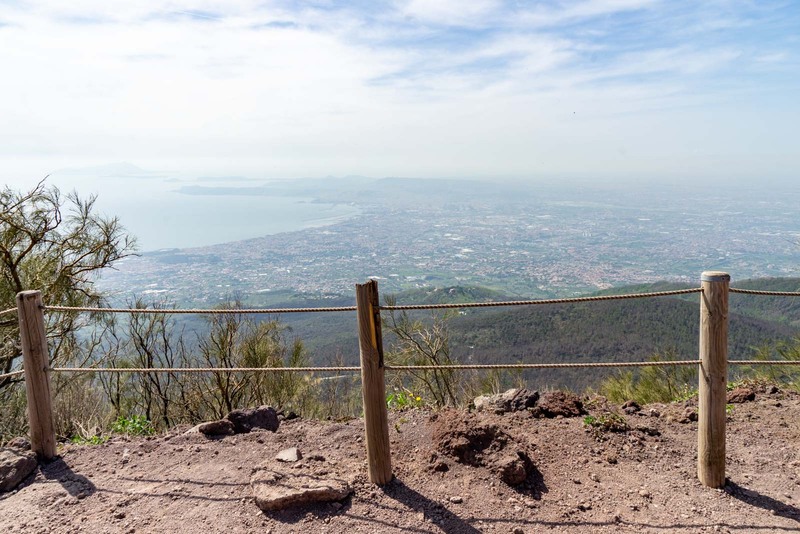 If you want to use public transport to get to Mount Vesuvius, the best option is to catch the Vesuvio Express bus from the Ercolano Scavi station of the Circumvesuviana train. 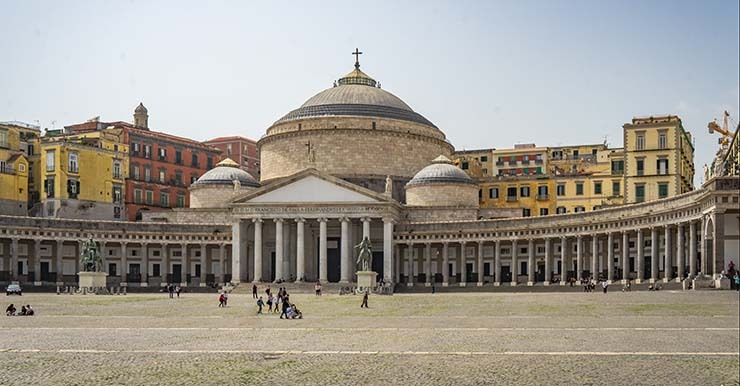 To get to the station, you can catch the Circumvesuviana, which runs between central Naples and Salerno. It’s a pretty awful train (dirty, unsafe, crowded) so the other option is to get the much nicer Trenitalia train to the Portici-Ercolano station about 2.5 kilometres away, on the other side of the Herculaneum archaeological site. The Vesuvio Express bus leaves about every 40 minutes. A ticket costs €20 and that includes the €10 entry fee that everybody would have to pay at the top anyway. Once the driver drops you off, you’ll have about 90 minutes until you need to come back and meet the bus. This is enough time to walk up, explore the edge of the crater a bit (in my case, also have a beer) and then walk back down. 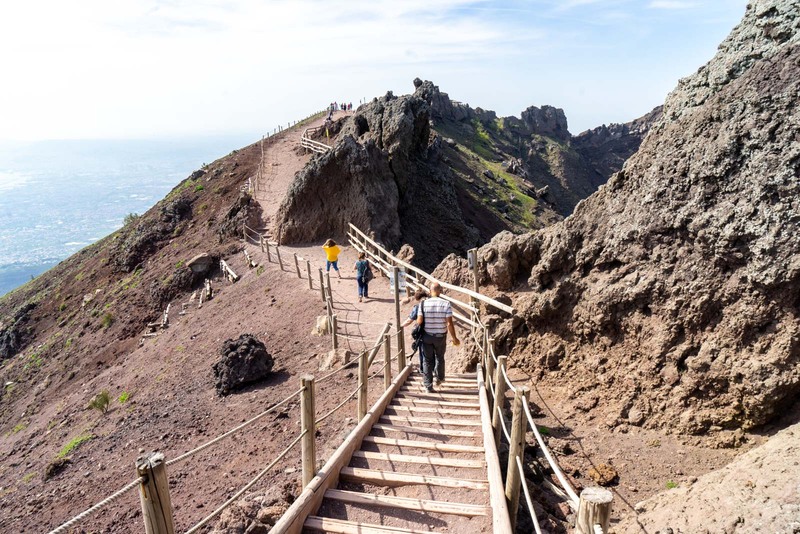 The other option you might consider is hiking all the way from the bottom of Mount Vesuvius to the top. 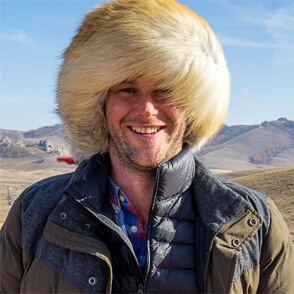 Let me give you one bit of advice about that – don’t do it! 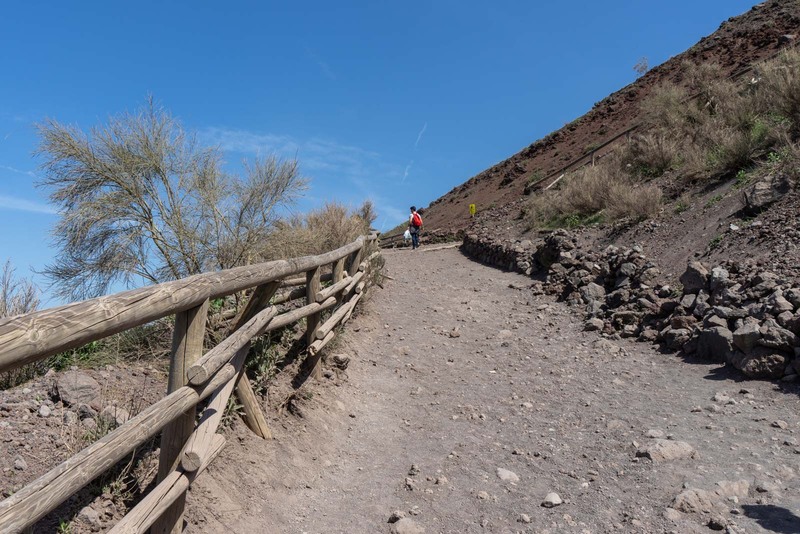 Although there is technically a path marked within the Vesuvius National Park, it usually has locked gates blocking the way. The only guaranteed trail is the road that all the cars and buses go up and that’s really long and pretty dangerous. I have climbed other volcanoes in my travels – Villarrica in Chile, Mt Bromo in Indonesia and Taal in the Philippines. 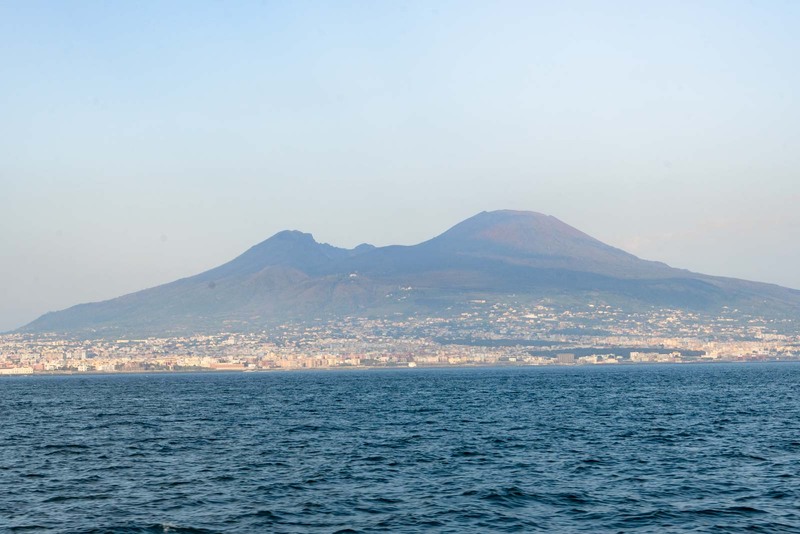 Each was exciting in their own way… but none was as symbolic as Mount Vesuvius. The physical exertion is not the hardest of them all but it means so much more to conquer this piece of history. Stunning captures . Amazingly narrated…loved it! Hiking always thrills me. Thanks for sharing your experiences. I’m not much of a hiker, but, maybe I should be! saving this for future travel! It’s a great hike – you won’t be disappointed!! Such a awesome post! You captured really good pictures in your travel trip. I love hiking always. Thank you so much for sharing a great experience with us. Keep posting!